The new Britax car seat travel cart is a must for those families who travel a lot. It’s especially a great help in navigating airports with a heavy car seat and children. This car seat carrier is strong and durable with some very nice features to make travel with kids less stressful. Britax makes top of the line car seats and this rolling cart is no exception. Your car seat simply connects to the cart with the same LATCH connectors that you use to connect it to your car. The carrying platform is far enough from the ground that the cart moves smoothly. Another nice benefit is that you don’t have to carry your child through the airport or wherever you might be. You can strap your little one into their seat and they will ride comfortably which keeps your hands free. Whether you’re short or tall, the handle adjusts and so it fits virtually everyone. The wheels are what Britax calls easy-glide and they roll nicely. Compatibility shouldn’t be a problem. The Britax car seat rolling cart is designed to fit all convertible seats and harness booster seats made by Britax. Most all car seats whether they’re made by Britax or not will fit the cart also. If you’re not sure about your car seat, I’d recommend calling Britax before buying the rolling cart. Once you’re in the plane, the cart easily folds up and fits in most airplane overhead compartments. Britax definitely made this rolling cart with travelers in mind. 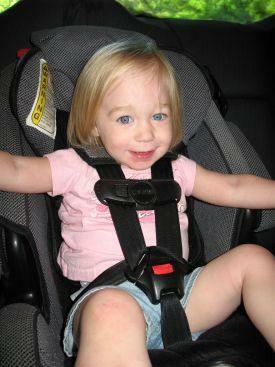 Car seats are being made larger and Britax car seats are known for their size. This is because of the extra safety features and the padding that gives youngsters a comfortable and extremely safe ride. The result of the larger sizes has made the seats a challenge to carry and lug around. Having hands free for other children or luggage is a plus along with not having to hoist a heavy and bulky car seat. I am a fan of Britax car seats and I would advise anyone who has a Britax seat to look into these carriers. I read reviews of products before buying and these carriers, although relatively new on the market, have high user reviews. One of the reviewers said that they like Britax car seats because they are so safe. However these safety features result in a heavier seat and hauling it around isn’t easy. The reviewer went on to say that the rolling cart made it so much easier going through security and the gate. She then talked about how it folds up and fits neatly into the overhead bin. 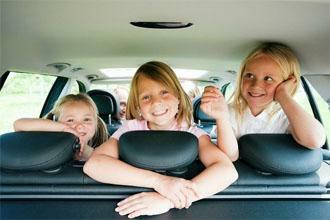 These carriers will become more common as more parents decide to take their best car seat on vacation with them. Jerry Patterson the author of this article is a UK blogger and proud grandfather. Also an advocate for child safety in car seats.